Concerned about poverty and hunger on a global scale, but not sure how to make a difference at the local level? Join with educators, health workers, scientists, students, parents, lawyers, musicians, retirees, veterans, farmers, business owners, and others who donate their time and considerable skills to building a lasting presence for Oxfam in their community. Consider volunteering at a concert or festival near you, or tabling at a local farmers' market. Connect with like-minded people and spread the word! Organize an event or find one near you! Harness the power of your community by raising funds to support Oxfam's work to end the injustice of poverty. We asked Oxfam volunteers what motivates them. Here’s what they told us. Host an Oxfam Hunger Banquet in your community or on your campus and change the way people think about poverty and hunger. Together we can change the laws and practices that keep people trapped in poverty. 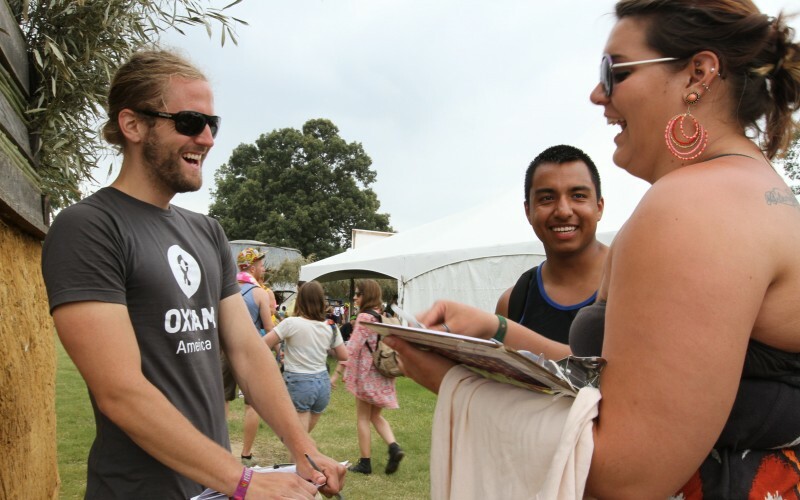 Learn about jobs at Oxfam, or give your time as a volunteer or intern.